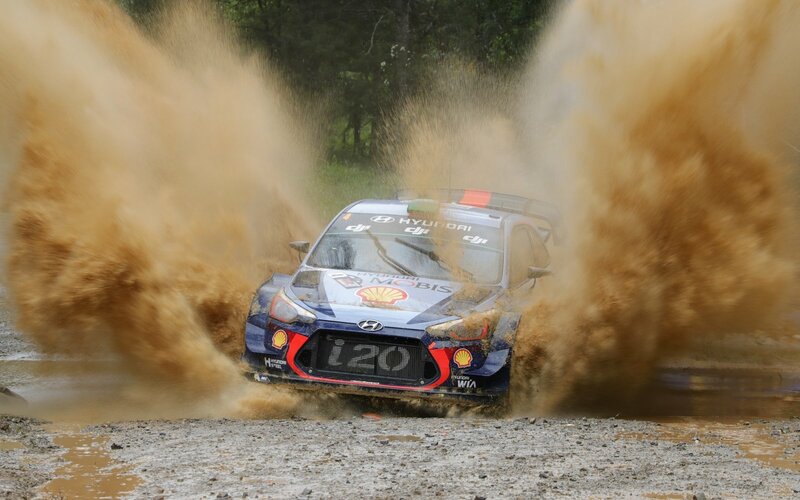 The Belgian crew of Thierry Neuville and Nicolas Gilsoul battled through the tough conditions to take a well-deserved win, clinching second place in the Drivers’ Championship as a result. 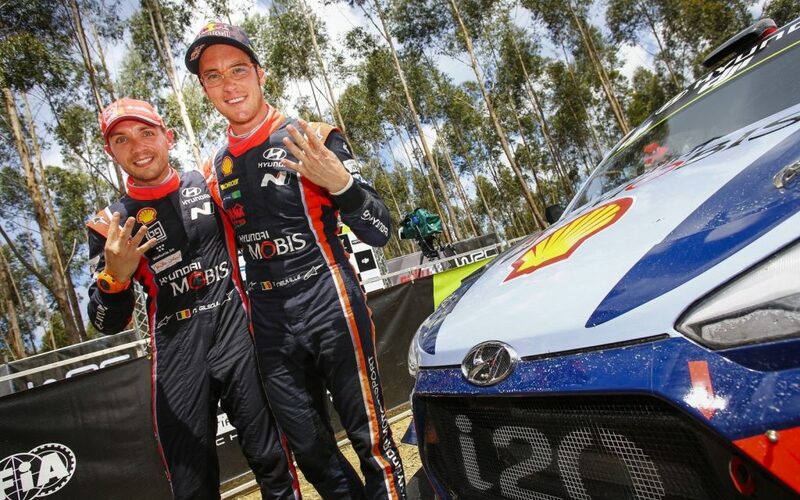 Hayden Paddon and Seb Marshall enjoyed their strongest day of the weekend, finishing in third position to register their second podium finish of the season. They were initially on course to take fourth but were promoted to third after second-placed Jari-Matti Latvala went off in the Power Stage. Stage wins for Paddon and Neuville brought the total for the weekend to 14 from a possible 19, the most the team has scored in any event in its four-season history. Andreas Mikkelsen and his compatriot co-driver Anders Jæger completed their third rally with Hyundai Motorsport under Rally 2 regulations after their retirement from the lead on Saturday morning. The final day of action was scheduled to include five stages, two runs through Pilbara Reverse (9.93km) and Wedding Bells (6.44km), as well as tackling the longer 31.90km Bucca test. Heavy rain from the start of the day made for challenging circumstances with standing water and unpredictable rainfall making some stages a lottery. Ultimately, conditions were so bad that event organizers were forced to cancel the penultimate stage, the repeat of Pilbara Reverse. Run in brighter conditions for its second pass, Wedding Bells played host to a thrilling Power Stage. Mikkelsen’s fourth place extended Hyundai Motorsport’s unbroken run of PS points in all rounds this season. In one of the most exciting and closely fought seasons in the WRC, the Hyundai i20 Coupe WRC performed at a competitive level in most events. Taking victories on gravel and tarmac, on three different continents, and showing versatility across the WRC’s incredibly wide range of rally conditions; the car has helped Hyundai Motorsport to underscore its credentials against tough opposition. 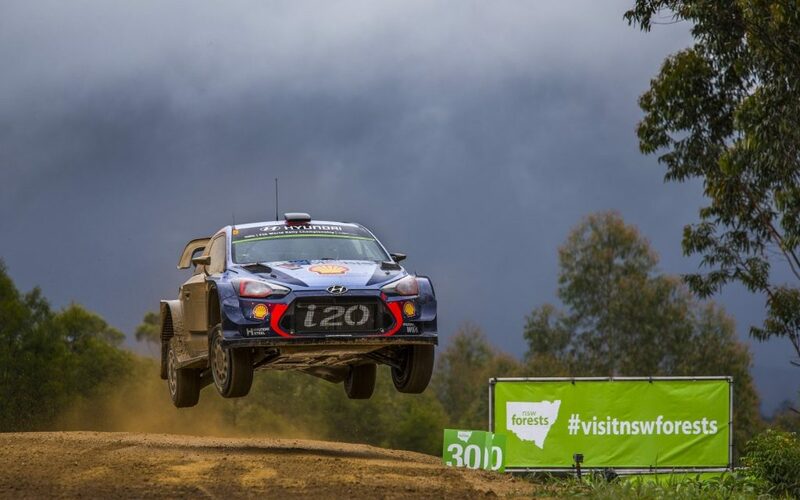 For Hyundai Motorsport, a dominant Rally Australia weekend has brought the 2017 season to a positive conclusion. With four victories, the team has doubled its win count year-on-year with 91 stage wins representing a notable increase from the 47 it scored throughout 2016. Although the 2017 season is over, thoughts already turn to the 2018 FIA World Rally Championship, which will get underway with Rallye Monte-Carlo on 25-28 January. The season will be formally launched at a special event during the Autosport International Show in Birmingham, UK on Thursday 11 January. Hyundai’s Next-gen FCEV SUV Spied in Europe.